To traditional farmers, barns are the soul of the farm. 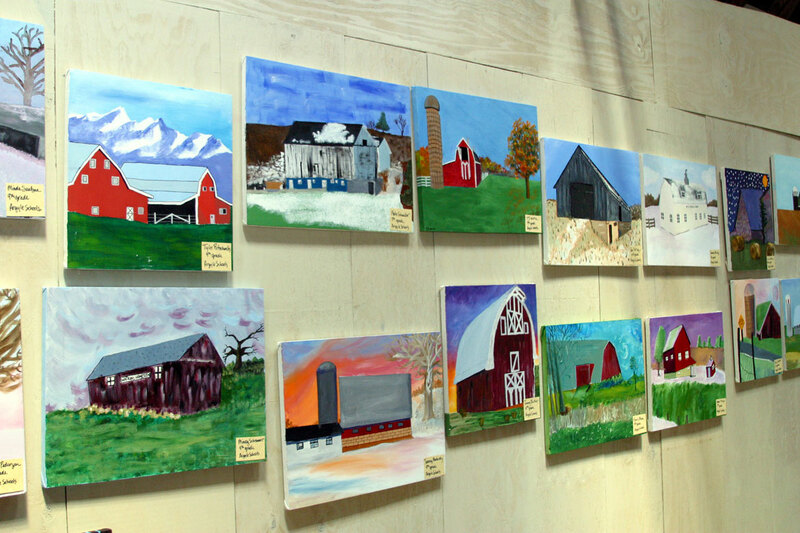 To the general public, barns represent both our rural past and our agricultural present. They are monuments in the American landscape. Nevertheless, modern barns are no longer the centers of industrial and community life they once were. Traditional barns were not designed to store the enormous machinery and harvests of today's large-scale farms. While renovated barns continue to play a vital role in agriculture, many farmers now consider the traditional, time-honored structures obsolete. The Smithsonian’s Barn Again! 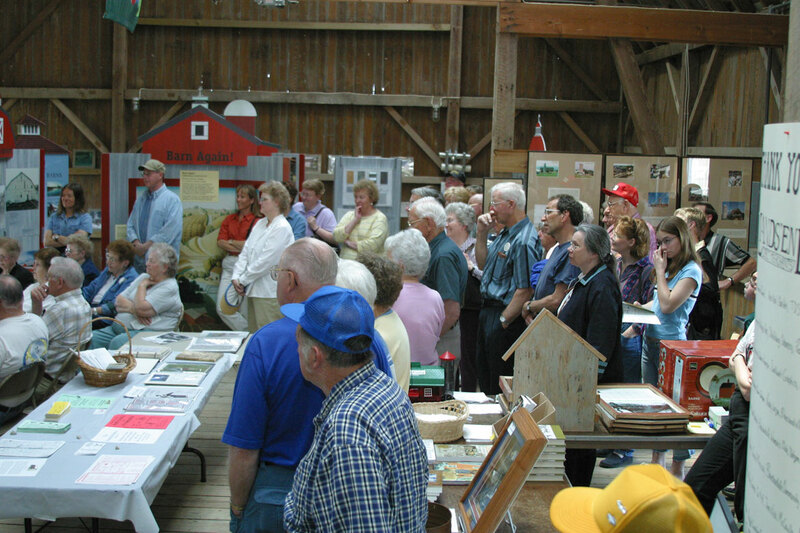 exhibition explored the barn as both a cultural and agricultural icon. It examined the building as an architectural structure and as a means of expressing beliefs about what our country was and could be. It looked at the origin and fate of the barn in its roles as warehouse, factory, and legend. One of the most rewarding experiences in having the MoMS exhibit was how the entire community came together to make it a memorable experience. The barn is a warehouse and a factory, a place of business, and a storehouse for farm equipment. It is one of the farmer’s most important agricultural tools. The barn was originally used for threshing grain, milking cows, and storing hay. But it was also a place for dancing, playing, and courting. 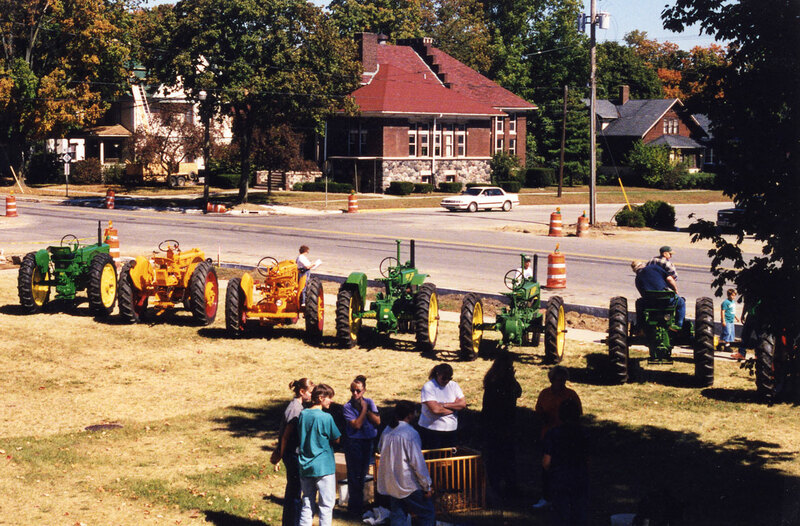 It was the heart of the farm and a vital part of the community. Like all buildings, barns are the result of a fusion of ideas from many cultures. What makes a barn English or German or Dutch? Its location and owner? Its appearance? The birthplace or nationality of its builder? The immigrants who settled North America brought diverse barn designs and construction techniques with them. Farmers and builders gradually adapted barns to conditions such as climate, geography, available materials, and changes in agricultural practice. Used as decorative motifs, barn and farm images evoke a nostalgia for simple country life. In children’s toys and books, barns are often presented as cute and happy places. The occupants of the barn—pigs, horses, and cows—are endowed with colorful human personalities. Barns once served as a center for social activity. Husking—the removal of the outer skin from ears of corn—and other tasks provided the occasion for neighbors to gather. Dances were held in barns. Religious communities such as the Amish still use barns for prayer meetings. Changes in farming production and storage have transformed the role of the barn. Grain was once threshed by hand in the center of the barn. Now it is processed in the field by machine. Cows were once milked in multipurpose barns. Modern dairies—some containing up to 3,000 cows—milk their herds in huge buildings used exclusively for that purpose. Barns once stored equipment such as wagons and plows. Most barns built in the 1800s and early 1900s are too small for the machinery used on today’s farms.